Having finished my first ebook, a lengthy process that has taken two years of scholarly research and field work, I have the pleasure to resume my contribution to Opinion Maker website in a series of articles expounding over the book. You will find the revelations unfolded in the book so relevant to today’s Israel and Zinoism they are bound to change not only your perspective but the whole Zionist paradigm upon which modern day Israel has been established as a state for almost 70 years now. Now, pause her for a while and let the echo of that revelation recur in the back of your mind- Palestine is not the Jewish Promised land – shocking revelation eh! Behind the story/myth of Egyptian Pharaoh is a staggering two-thousand- year deception/conspiracy (exposed by academic research that yielded amazing evidence-based findings –amazing is actually an understatement). The truth could still be gleaned from the Hebrew Version of the Old Bible. In the following chapter from Genesis that describes selling Joseph as a slave in Egypt (the very beginning of the Israelites’ alleged story in Egypt) you will notice that the English translation explicitly mentions Egypt as the place of selling Joseph. But in the Hebrew Version Egypt is nowhere to be found, and instead we read “Mizraim/Mizrima” . The true Faraon/Pharaoh came from Arabia and could have looked like this photo. The Greek Ptolemies in complicity with the Jewish clergy had pulled out one of the first false flag operations in history. The goal behind this false flag deception was to create a rift between the people of the Nile Valley and their older Egyptian monarchy (an old rival to the Greeks) by demonizing the Kings of Egypt as Pharaohs defiant to God. In that way, the land and wealth of ancient Egypt had been appropriated by the Greeks while allowing the Hebrews to do the same to the Egyptian culture and history. 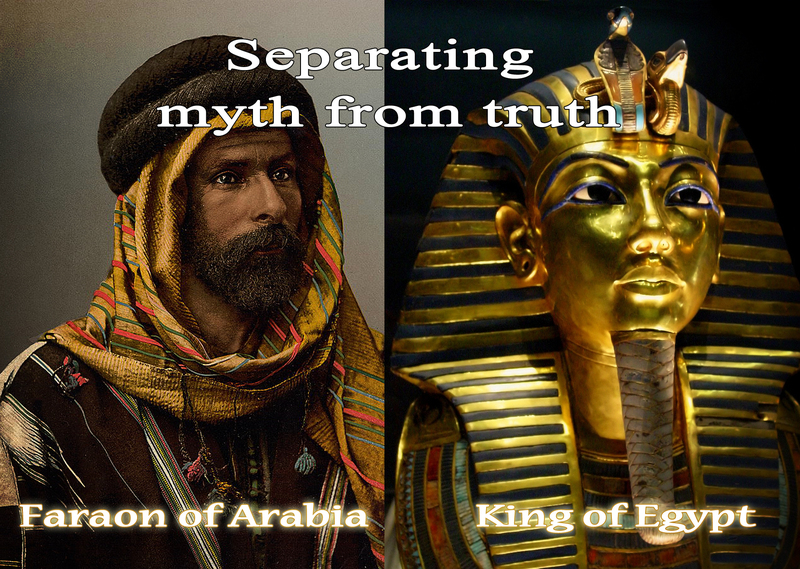 The scale of the deception is enormous; tampering with the place names of the original Israelite stories – changing the location where those stories happened to a completely different geography – hijacking the landscape of the world’s most ancient civilizations and turning it into a backdrop for the patriarchal stories – tainting the grand stature and culture of ancient Egypt and demonizing their kings (as heathens and hard-hearted Pharaohs) – expanding the size and shifting the borders of the Israelite alleged promised land (from a tiny and arid terrain in south Arabia to the fertile crescent bordered by ancient Egypt in the west and Mesopotamia/Iraq to the east – making use of the grandeur of ancient Egypt had helped transform the structure and the milieu of the Israelite stories from an extremely primitive and local tribal tales into globally disseminated stories. All that with the Greeks/Ptolemies’ blessings. Actually the Greek/Jewish complicity is almost like the so called strategic and unbreakable bond between the nowadays US and Israel. And currently that same duplicity and complicity has long been in progress for almost a century now between the US/EU and Zionism. 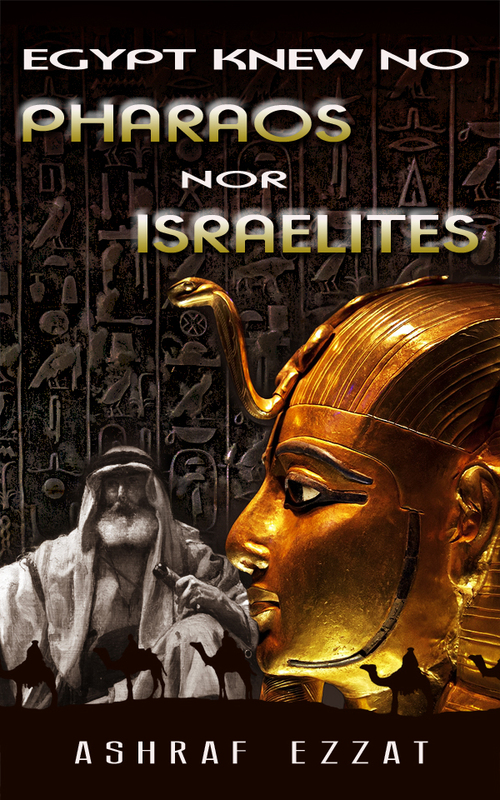 Supported by a body of academic researches carried out by serious scholars, the author of (Egypt knew no Pharaohs nor Israelites) is not only revisiting the ancient Near East and exposing the deceptions of the ancient Jewish clergy and illuminati but in the process is also demolishing the very basis upon which modern Zionism and the state of Israel has been established. And that’s not all, brace yourselves for more astonishing revelations uncovering the Arabic roots of Judaism (and its relation to modern day Wahhabism) and where exactly the Jewish Patriarchs Abraham, Joseph and Moses lived and died. Neither Egypt is the land of the Israelites’ Exodus nor Palestine their promised land. NB, the book is available on US Amazon for only ($4.99) and ($0.00) on Kindle Unlimited. To buy a copy of the book (Egypt knew no Pharaohs nor Israelites) click here.